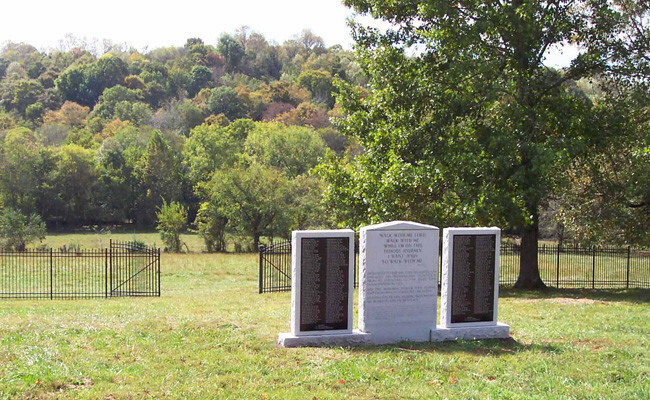 The African American Cemetery Memorial Monument at Wessyngton is unique in America—it pays homage to those who were enslaved by inscribing the names, the birth dates, and the death dates of 446 African Americans. 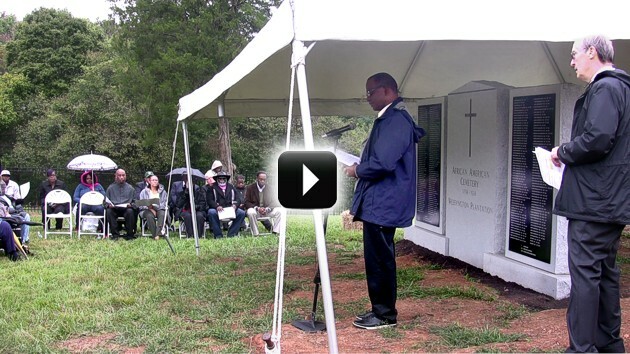 The list of names includes the 100 people who are known to be buried there, and those who served in the USCT. This granite monument measuring 6 feet high x 12 feet long x 14 inches deep was erected by Washington Family Descendants in 2015. 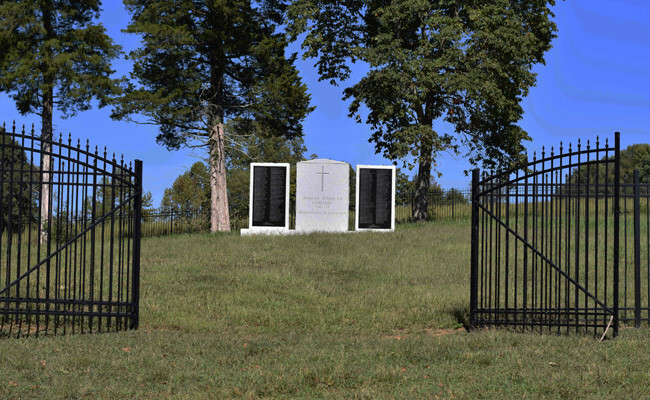 The large Cemetery is surrounded by a 640 foot wrought iron fence, which was funded by a Washington Family Descendant. More than 200 Wessyngton Plantation Descendants and Washington Family Descendants gathered together on October 3, 2015. A descendant of Wes­syngton slaves, John F. Baker Jr., has written the most accessible and ex­citing work of African American history since Roots. When Baker was in the seventh grade, he saw a photograph of four former slaves in his social studies textbook. When he learned that two of them were his grand­mother’s grand­parents, Emanuel and Henny Washington, he began the lifelong research project that would become The Washingtons of Wessyngton Plantation. This fruit of more than thirty years of archival and field research and DNA testing spans 250 years. Baker has not only written his own family’s story but also includes the history of hundreds of slaves and their descendants, now numbering in the thousands throughout the United States. More than 100 rare photographs and portraits of African Americans who were slaves on the plantation bring this compelling American history to life. Founded in 1796 by Joseph Washington, a distant cousin of America’s first president, Wessyngton Plantation covered 15,000 acres and held 274 slaves whose labor made it the largest tobacco plantation in America. Unusually, The Washingtons only sold two slaves, so the slave families remained intact for generations. The Washington family owned the plantation until 1983; their family papers include birth registers from 1795-1860, letters, diaries, and more. Baker also conducted dozens of interviews-three of his subjects were more than one hundred years old-and discovered caches of historic photographs and paintings. 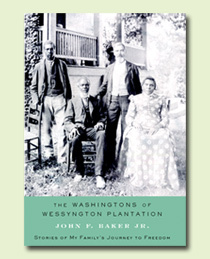 A groundbreaking work of history and a deeply personal journey of discovery, The Washingtons of Wessyngton Plantation is an uplifting story of survival and family that gives fresh insight into the institution of slavery and its ongoing legacy today. Celebrates 35+ Years of Genealogical and Historical research. Specializes in American and African American genealogy from the Colonial period to the Civil War and beyond. Has researched more than 11,000 documents to trace the ancestry of more than 300 African Americans enslaved on one of the largest plantations in America and the plantation owners.